Once again the Red Rocks Music Festival rocks Sedona! From August 24-September 2, 2012 this annual event showcases musicians from Arizona and all over the world. It engages, challenges and educates audiences through a unique collaboration of musicians from leading Arizona performing arts organizations and world acclaimed artists. An important element of the Festival’s mission is education. Master classes and workshops make it possible for young musicians to learn skills from master musicians. The festival provides outreach educational music programs that encourage students to appreciate and continue their interest in the arts. The first concert in Sedona kicks off Saturday, August 25th at 7pm with the talents of pianist Tomoko Kanamaru. This is one not to be missed, Ms. Kanamaru will be performing “Brahms and Friends” at the Sedona Creative Life Center (333 Schnebly Hill Rd.). Saturday, September 1 Sonja and Elizabeth Schumann take to the stage to perform works by Brahms, George Gershwin, Ravel, Debussy and Poulenc. Concert time 7pm at the Sedona Creative Life Center. The third and final concert of the Festival is David Ehrlich’s “Classical Meets Jazz” Sunday, September 2 at 3pm, at the Sedona Creative Life Center. There will be a Violin-Piano Master Class Presentation Saturday, September 1 at 2pm with Sonja and Elizabeth Schumann, and David and Teresa Ehrlich. Purchase all three Sedona Concerts for only $58.00, individual concerts are $24.00, this is a savings of 20%! As you make plans for the Red Rocks Music Festival in Sedona, choose El Portal Sedona Hotel as your home away from home. We are a pet friendly Sedona hotel located in the heart of the city, and offer our guests free pet sitting! With the Sedona Creative Life Center less than 5 minutes by car and 15 minutes walking this Sedona luxury inn is a perfect location for you. Just steps away from Tlaquepaque Arts and Crafts Village with eclectic shopping and wonderful dining, and Los Abrigados where guests have access to a full gym, two swimming pools and Sedona Spa. 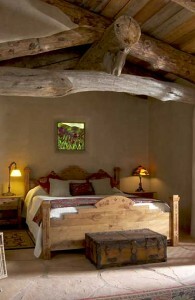 To reserve your rooms for the Festival call 1.800.313.0017 and don’t forget to ask about our Sedona hotel specials.